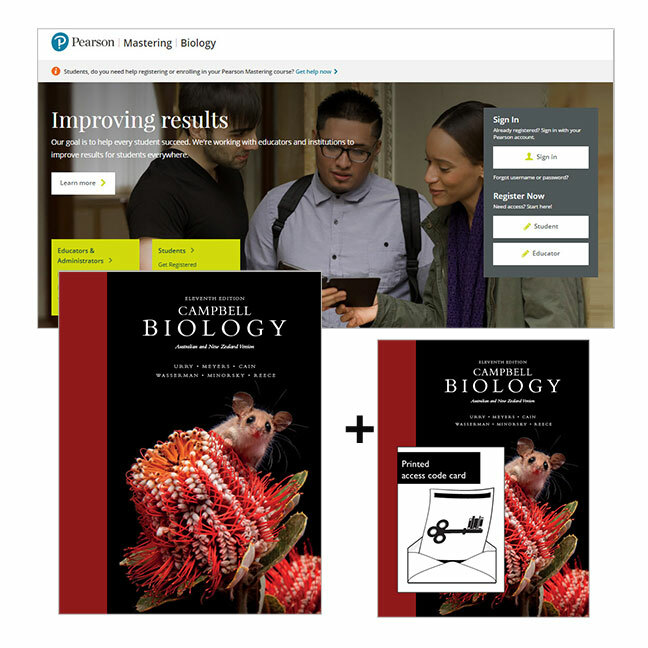 This pack contains 1 copy of Campbell Biology 11th edition and 1 printed access card to Mastering Biology with eText. Campbell Biology continues to provide Australian and New Zealand students and lecturers clear and engaging content, innovative art and photos, plus, fully integrated media resources to enhance teaching and learning. To engage students in developing a deeper understanding of biology, this edition challenges them to apply their knowledge and skills to a variety of new hands-on activities and exercises in the text and online. Content updates throughout the text reflect rapidly evolving research, and new learning tools include Problem-Solving Exercises, Visualising Figures, Visual Skills Questions, and more. Mastering with Pearson eText gives you access to the Mastering platform plus the eText app, personalisation with notes and highlights, integrated videos, animations, and practice questions, and links from Mastering for quick help. Please note: The duration of access to Mastering is set by your instructor for your specific unit of study. To access Mastering you need a Course ID from your instructor.